To take care of your child’s overall health is one of your most significant responsibilities. This includes keeping his or her dental hygiene in tip-top shape! What is the habit of good parents to maintain oral health for kids? It’s obviously tiring to run after your kid every time he or she munches on chocolates, no? Besides, these sweets are an integral part of a child’s life! You wouldn’t want to take that away from your little one, would you? You need to take some smart strides regularly so that you can improve your little one’s oral health in a great way. Primarily, you should teach your kid good dental habits as this will be beneficial for him or her in so many ways. 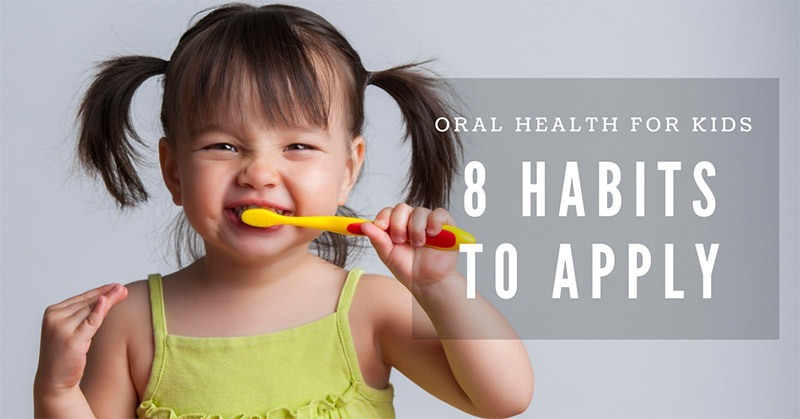 Aside from these, experts also shared some practical ideas which can help maintain your child’s good oral health. Do you want to take a glance at them? Read on.